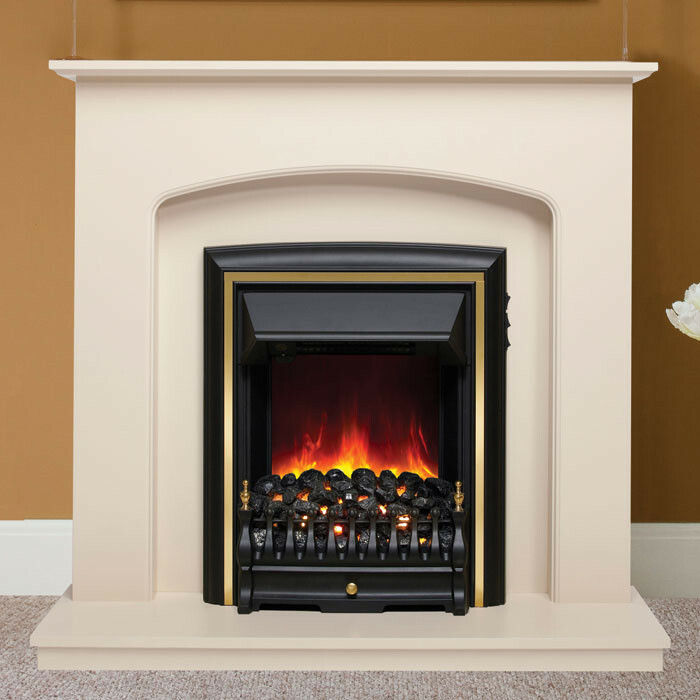 The Be Modern Lusso Electric Fireplace Suite consists of the Lusso 42" fire surround, back panel, hearth and Comet black and chrome highlighted fire. 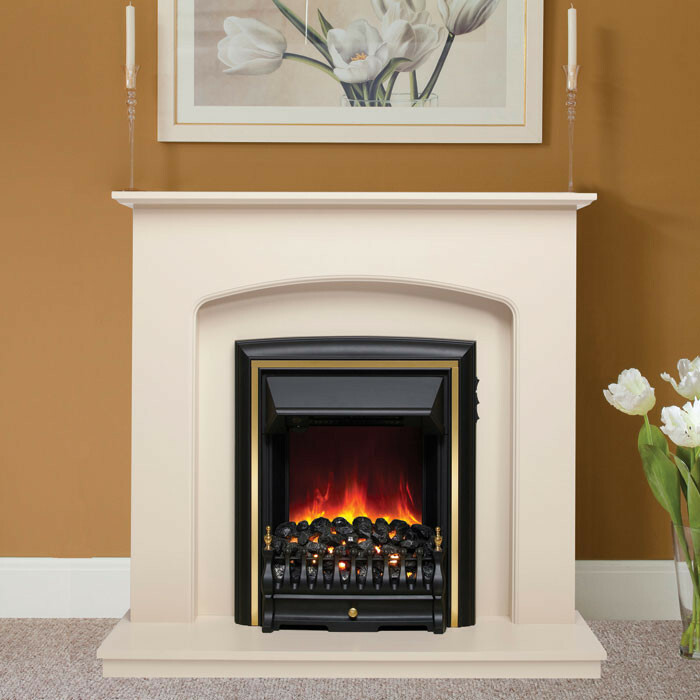 The Lusso fireplace surround comes in an elegant ivory finish as does the back panel with matching hearth. 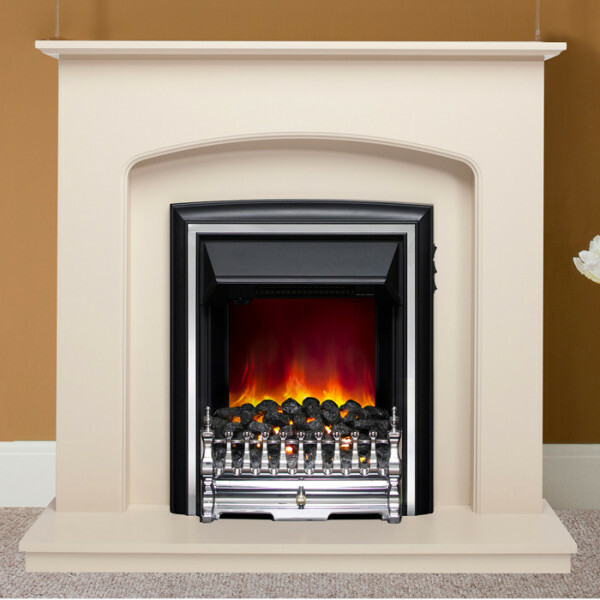 The back panel and hearth in the Lusso fireplace suite have an aluminium backing suitable for use with both electric fires. The Be Modern Corvette electric fire has an output up to 2kW, and comes in a black and chrome finish.